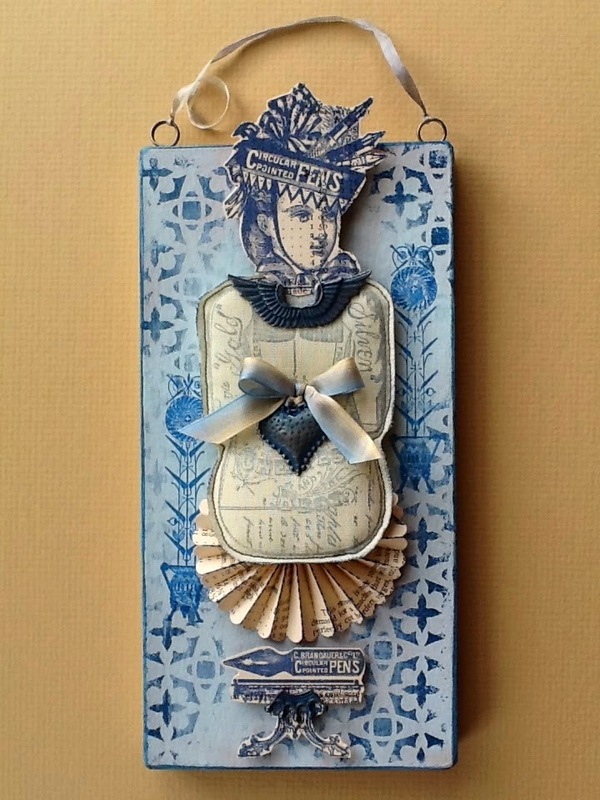 "Hello all, Penny here and welcome back for my next three PaperArtsy projects. I hope you will feel inspired to join in with the challenge this week! Our theme this week is making ART DOLLS. 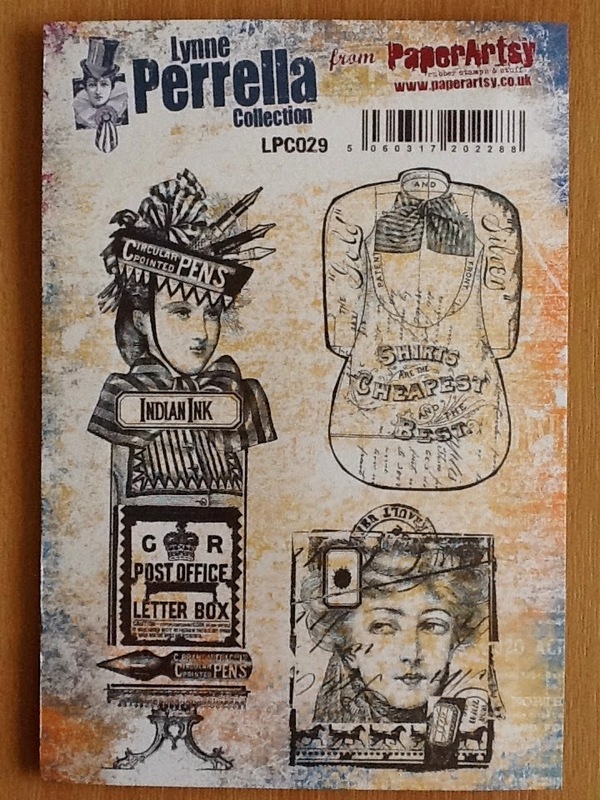 My favourite source of inspiration in art, and often the most challenging, is the face, so naturally I love the Lynne Perrella stamp collections. Over the next three days we will look at three different ways of constructing art dolls to showcase these beautiful faces". The base is a Hanging Chunky Board (large) which I painted first with Stone Fresco Finish Paint and then dry brushed over with Antarctic. 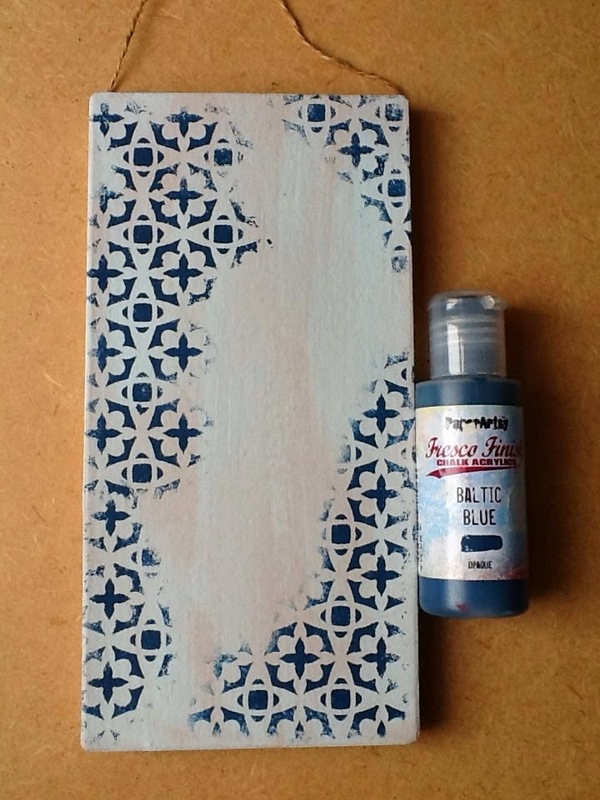 I chose a small-patterned stencil for the broke background in Baltic Blue and blended it into the background with a bit more Antarctic. 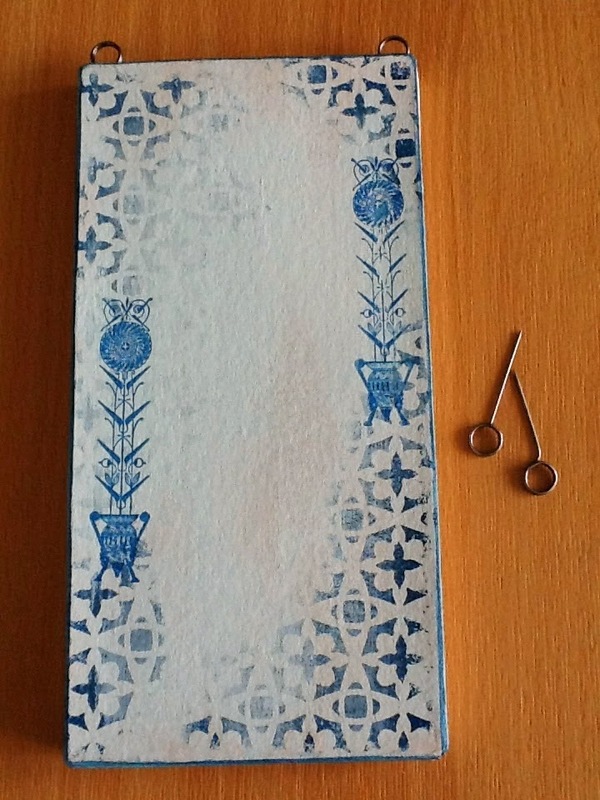 The flower stand (LPC028) was stamped using Cobalt Archival Ink. I removed the string and glued in two eyelets. Now the figure. 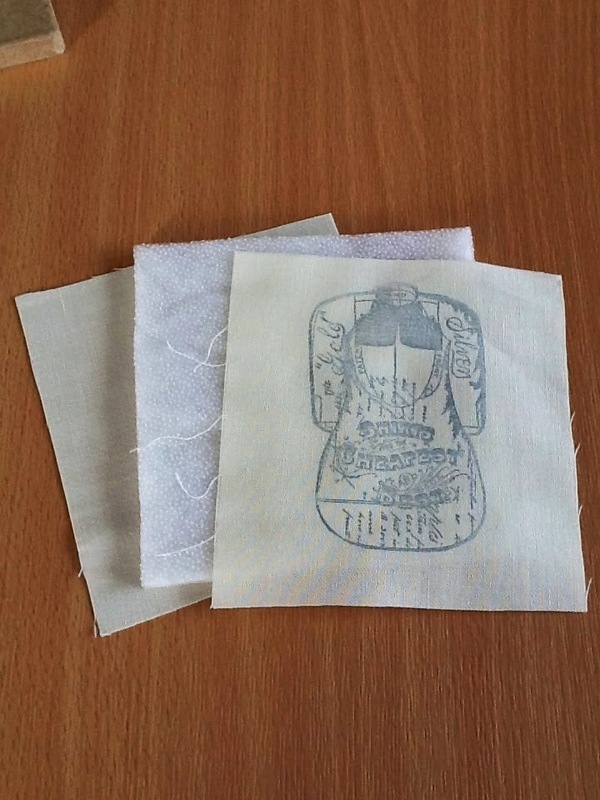 I stamped the body form from LPC029 onto a piece of close weave cream cotton fabric in the Cobalt ink, layered it with thin wadding and more fabric, stitched just outside the stamped outline and cut out the shape. 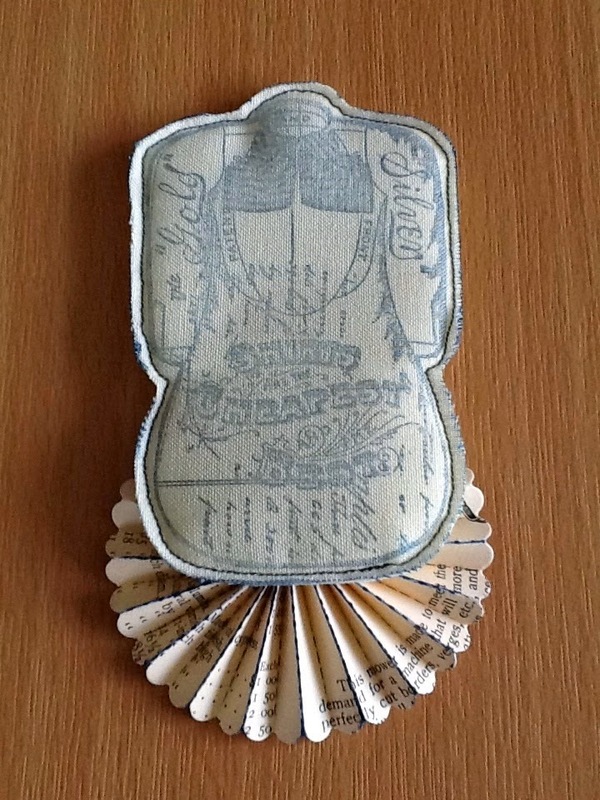 I added a die-cut rosette skirt in printed script card stock. 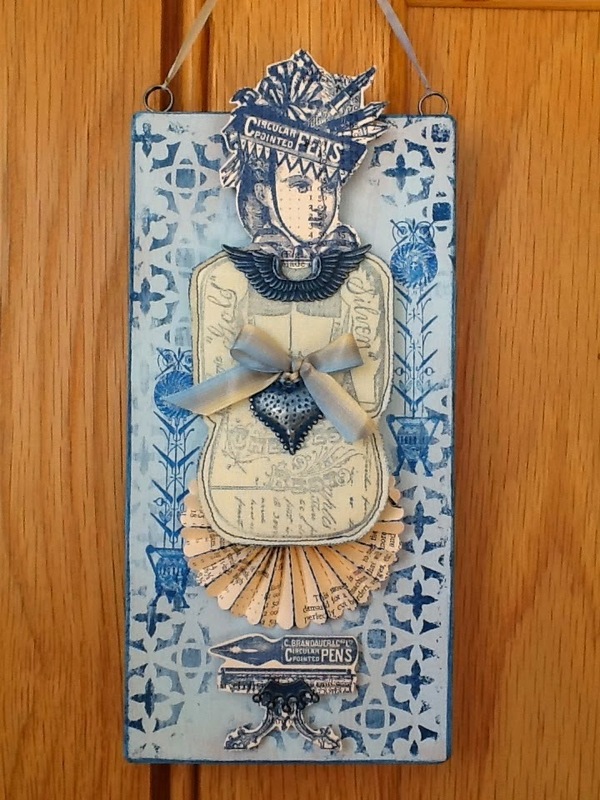 I stamped the tall figure on the same card stock in Cobalt ink.To continue the dimensional look of the figure I glued buttons to the background in head and foot positions and added the cut out face and stand. 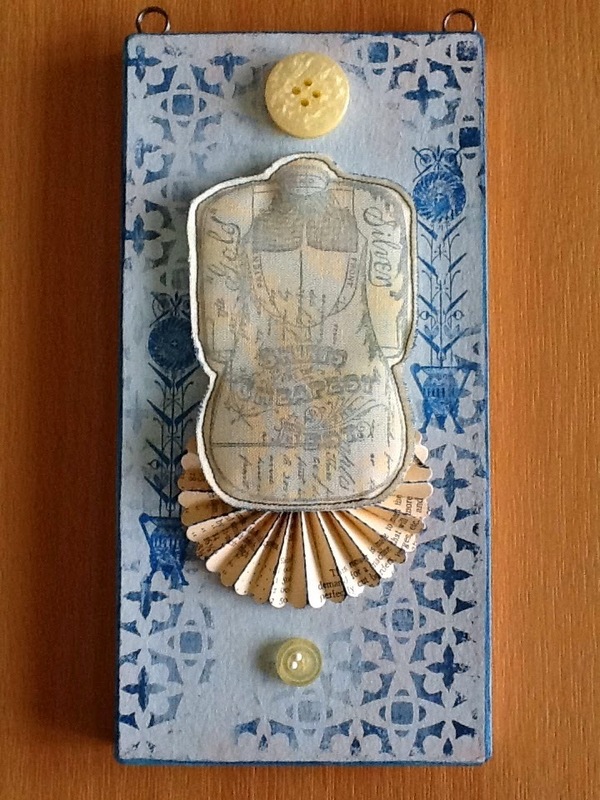 The metal embellishments were painted with Baltic Blue and partly wiped off to reveal the raised metal. A ribbon bow and hanging loop and we are done! happening......... Back tomorrow with more. Gillian Says:Love how you have broken down this image of the doll and created various dimensions ... such a cool art doll. Can't wait to see what else is in store this week. 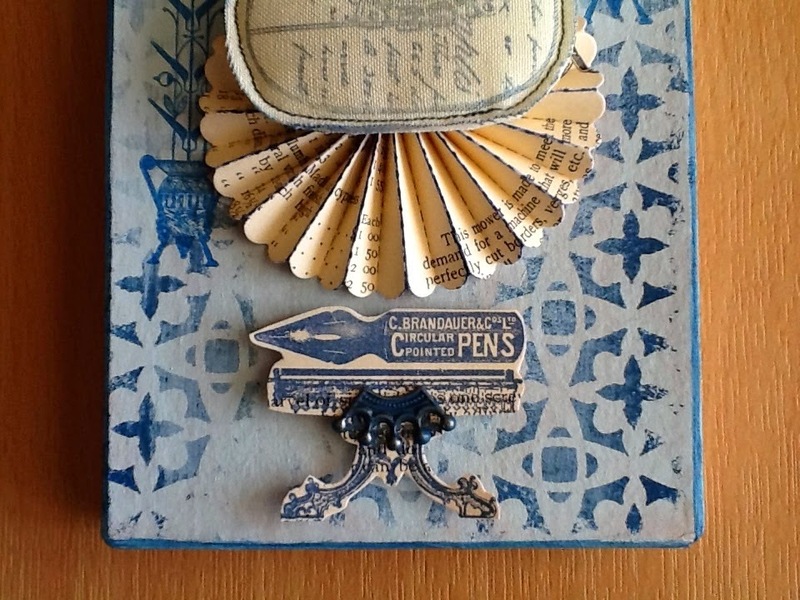 If you would like to join in this week's challenge and play along with Penny's techniques, then do link up your creativity here, and go in the draw to win some PA stamps of your choice! You need to link your entry by 17:00, Sunday July 20th 2014.
oh, wow!! Not sure I can do the sewing, but I love the look. The background is gorgeous too. Sew original! Lovely make but the sewing is a sore point for me! Just beautiful Penny. 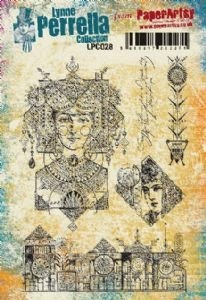 I love your sewn elements! Absolutely love it to bits! Let me in that craft room! 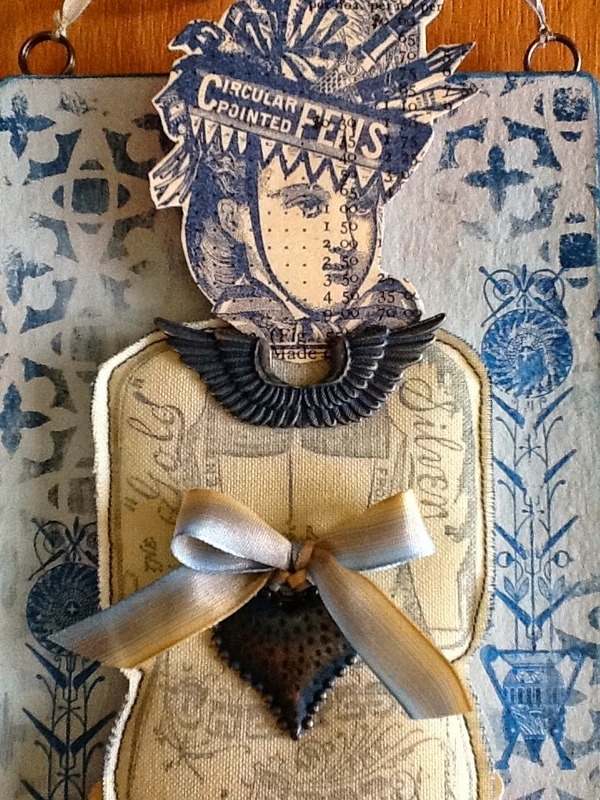 Love paper dolls and yours is lovely!. I'll try to join :) Thanks!! I really like this, adore the colours you have chosen. Fabulous creation, I love it.